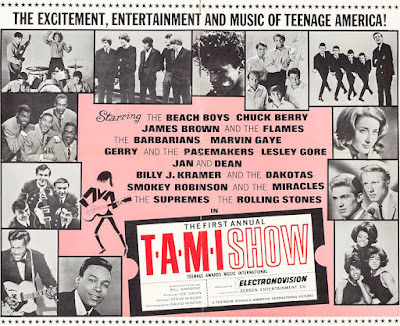 Filmed in "Electronovision", a precursor to today's HD TV, The Teenage Awards Music International Show (or 'T.A.M.I. 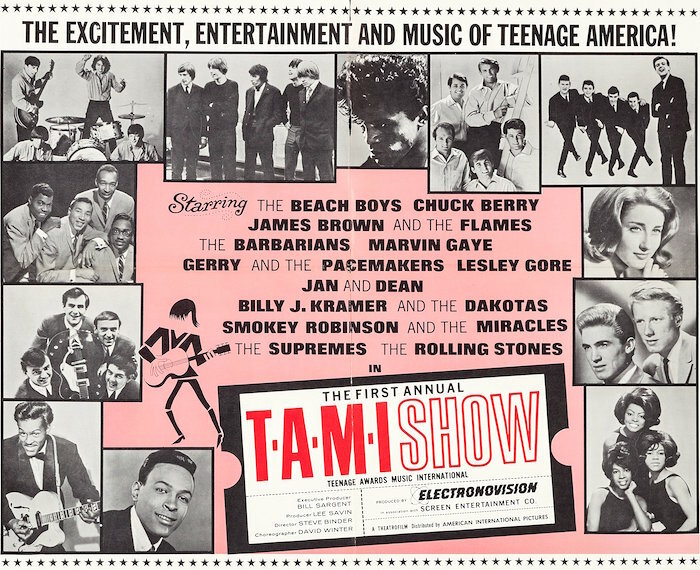 Show' for short) was a chance to see early performances by James Brown, The Stones, Marvin Gaye, The Beach Boys, The Supremes, Chuck Berry, Smokey Robinson and more! Hang on through the horribly dated antics of Jan and Dean to see some really amazing acts in their younger days at the Santa Monica Civic Auditorium in California in 1964.